Home Uncategorized Breaking the Rules. Jonah Winter’s first picture book biography came out around 20 years ago. 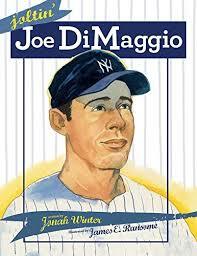 He has done another fine book in Joltin’ Joe DiMaggio illustrated by the great James E. Ransome. Winter breaks the “rule” of staying under 1000 words (I quickly counted between 1300-1500, plus an author’s note.) Why? To tell a thorough life story of Joe DiMaggio (including the Marilyn Monroe era!) and, well, yeah…he is Jonah Winter. 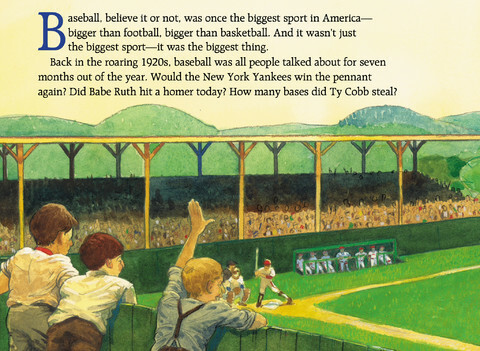 All picture book “rules” can be broken… BUT, not before you know what they are and WHY they exist. In terms of nonfiction, historical fiction and biography, here’s my simple take on the “rule” of length. It’s there to remind you not to bore the pants off your readers. Most inf ormation is best kept in your file folders, not in your manuscript. If I had to guess, my own information ratio is 80:20. 80% of what I know about the subject stays out, but the 20% that goes in is super specific to THIS story. In other words, you’re looking to include tight details rather than the broad birth-to-death information found on Wikipedia. Yet, it (almost) always does get done. How? By repeatedly asking: How does this page, paragraph, sentence or word contribute to telling this story? Only words that move the story along are invited to stay, the rest are cut. It’s an exclusive guest list. If you can throw a complete party with 250 words, great, if it’s 700, fine, but if it is 1400 words, your reasons for inviting that many should be airtight. Once an editor (the person paying for your party) reads your manuscript, you will be justifying each one. 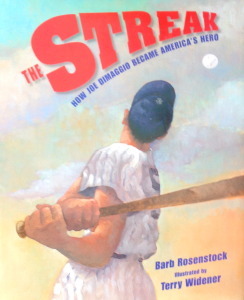 If you’re interested, check out Winter & Ransome’s Joltin’ Joe DiMaggio and my own book The Streak: How Joe DiMaggio Became America’s Hero, illustrated by Terry Widener, to read two styles of biography published in the same year on the same subject. And learn to be ruthless with your guest list—invite the number of words you need, and not one more. 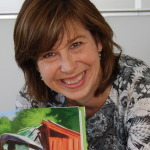 Barb Rosenstock, James E. Ransome, Jonah Winter, nonfiction picture books, word count. Bookmark. Thank you for the blogpost. I find that sometimes there’s so much great research, it’s hard to know where to start the biography. To me, it is a relief once the first draft is done and I can start revisions. I have enjoyed the books of yours I’ve read and look forward to reading this one. Thanks Patricia, yep sometimes the hardest thing is to stop researching and just get the story out! I love picture book biographies, and am always curious about how the author chose what to include — it can’t be easy! I look forward to reading both yours and Jonah’s. Thanks, Barb! Not everyone works the same, but for me I try to only include what moves the story along and makes me say “I didn’t know that” when I was researching. Thanks for reading! Such great, GREAT advice – and not just for bios! Thanks so VERY much. And advice I need to remind myself of once a week (at least) thanks for reading! GREAT advice, Barb. I’m studying picture book biographies right now, too, so I was happy to add these to my must-read list. Excellent post on cutting words! I wrote my first pb biography draft last spring, and it was very painful to cut out sooo many of the words of my first draft. But the story is all the more stronger because of it! Not just cutting words, but many times cutting entire scenes, skipping time, characters, etc. You’re right, a picture book story is almost always stronger for it!